You’ve heard the markets are where you can make money, but what does it mean about stocks and stock brokers? Investing in the stock market may seem like a daunting task, but it doesn’t have to be if you do your research and follow some simple strategies. What does it take to be a great investor? Is it time, money or skill? The truth is that it’s knowledge. There isn’t anything more important you can do when preparing to invest your money into stocks than read, read and read some more. Obviously, the more you learn the better you can become at identifying good stocks to buy. But where do you begin? There are many books written with the new stock investor in mind. And many online resources are also available. However, any of these can quickly get far too complicated and overwhelming for a beginner, so you should be careful to only start with basic investing ideas. In order to get the greatest returns from your stock market investments, make sure you create a detailed investment plan outlining specific strategies. You should refer back to your plan every time you are thinking about making a trade. The investment plan should include strategies about when to buy and when to sell. It should also clearly lay out what your investing budget is. You will be making decisions with your head this way instead of with your emotions. Beginner stock investors should understand that some of their first investments may lose a bit of money, usually based on either making an uninformed trade or it is an overall down market. Oftentimes, new traders panic at the first dollar they lose and quickly sell off their stocks before giving them a chance to recover on their own. You should remember that buying stocks is a long-term investment strategy and you will need to learn to have patience. Which is why you also need to stay patient during a bear market, which is when the overall stock market goes down, generally understood to be about a 20% decline over 3 months. A bull market, on the other hand, is when the overall stock market rises. Bull and bear markets tend to be cyclical, and eventually each bear market will turn into a bull market. Bull markets tend to last longer and throughout history has led to yearly annualized gains between !5-35%. Wise investors usually watch the market very carefully so that any initial signs of changes can be detected, and they try to analyze based on history whether the overall markets are changing or not. Many people who invest in stocks make the mistake of relying too strongly on past performance when deciding which stocks to purchase. While prior performance is a very good indicator of how a stock may perform in the future, you should make certain to do some research as to what the future plans of the company are. It is important to consider how they plan to increase revenue and profits in future years and to understand the company’s earnings. Do not try to properly time the markets. Over the course of history, it has been shown that steady investments over time yield the greatest returns. Think carefully about the exact amount of your income that you are willing to invest. Then, consistently invest and keep up with it, no matter what the markets are doing. 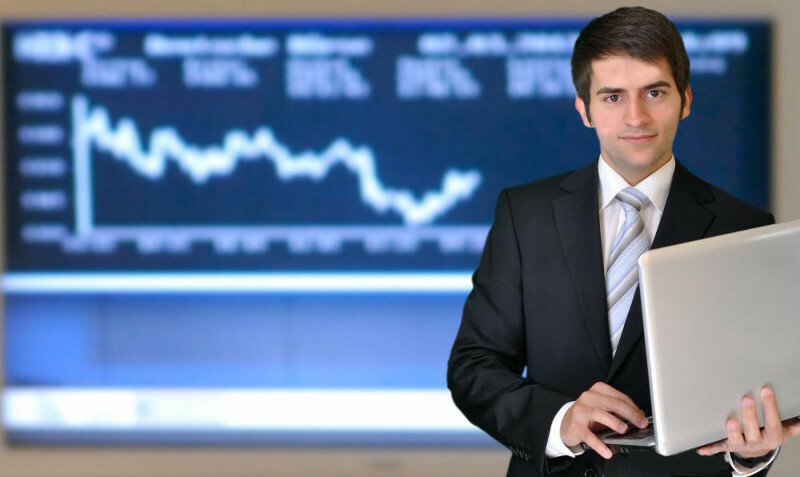 If you would like to have assistance with your stock market investments, then you should consider connecting with a stock broker. You can find a broker dedicated to trading in the stock market or one who also has online options as well as full service when it comes to stock picking. With a broker that is part of a brokerage firm, you are generally charged higher for each trade than online trading, but the advice you receive is more well-informed and more dedicated to your particular investment goals. On the other hand, if you feel confident in making your own online trades, using a broker for just advice can lead you to companies that may perform well in the future while you yourself make the trades. Generally this latter method gets you more involved in your investments as you are making the stock buys yourself. If you want to go the route of a brokerage firm, it is importance to not just pick a firm because of a television advertisement or word of mouth. It is better to do some research first and make sure that whatever broker you decide to choose has a good reputation and track record so that your portfolio is safe. Now that you have some knowledge, it’s time to build up your skills. Use what you’ve learned here to build an investment strategy and then stick to it as you put your money into the markets. And if you need some assistance, stock brokers can be of great benefit in helping you create your investment plan and reach your goals.